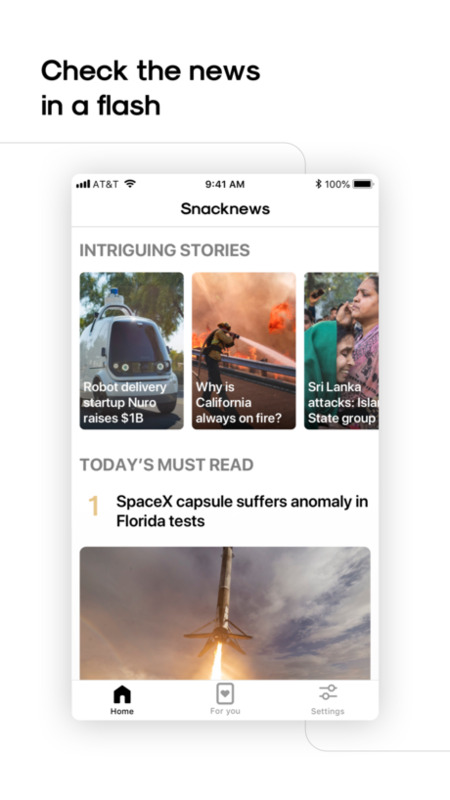 Snacknews retrieves and summarize the news from hundred of trustable sources. Besides it provides you with beautiful and handy news stories about the most important facts of the day. 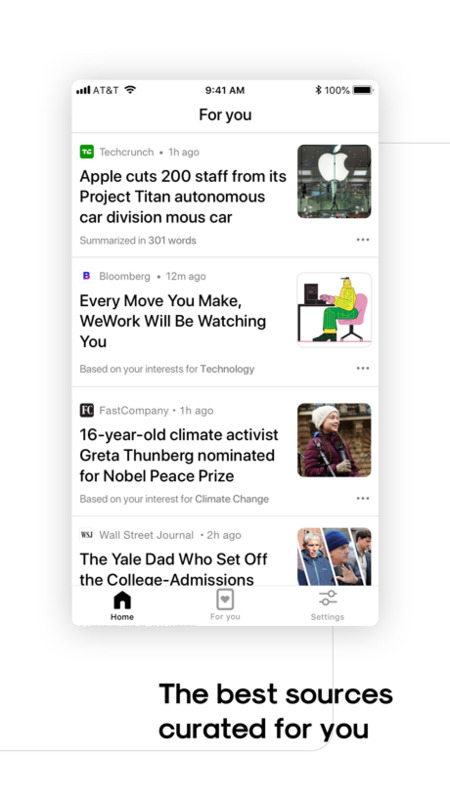 Finally a fully transparent recommandation algorithm helps you discover the most relevant articles and lets you fine tune your news feed. ◦ Beautiful: every day discover the most important fact through amazing short news stories. ◦ Honest: at any time you can modify the recommandation algorithm to decide which are the relevant topics for you. ◦ Trustable: we only collect verified news from high-quality and well-known sources across the web. ◦ Time saver: all the news are automatically summarized in key facts. ◦ Complete: you can always access the full article to read the news you care about.